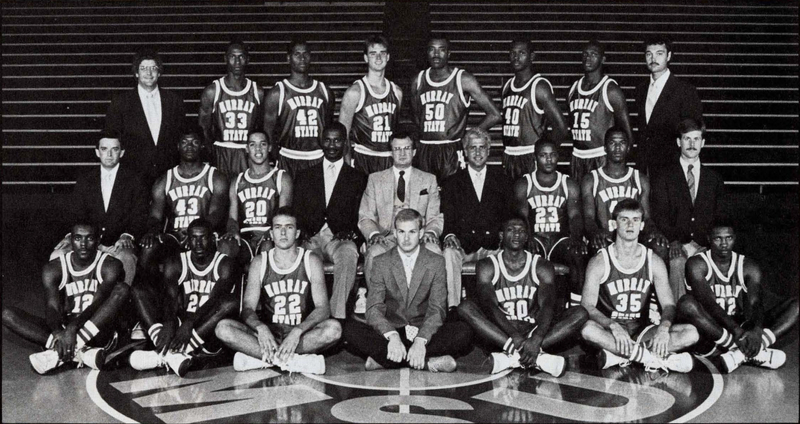 After a slow 4-5 start to the season the 1987-1988 edition of the Racers got things rolling in January, and after steamrolling through the OVC schedule wound up in the NCAA Tournament. The team wasn't done there as Coach Newton and the M & M boys (Don Mann & Jeff Martin) upset NC State to give the Racers their first victory in the NCAA Tournament. Murray narrowly missed a second upset as they took eventual National Champion Kansas to the wire before falling in the final minute 58-61.